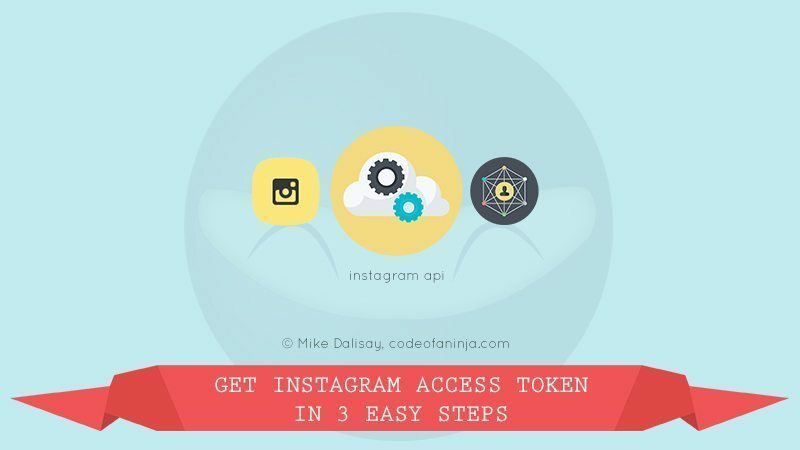 How To Get Instagram Access Token in 3 Easy Steps? Ever wonder how to get or generate your own Instagram access token? In this tutorial, we will solve your problem in 3 easy steps! Step 1: Register a new client. Go to this link to register a new client. You should see a page like the following. Step 2: Get the client ID. Go to "Manage Clients" page, you should see a page like the following. Step 3: Get Intagram access token. On your browser, go to this URL format. Replace YOUR_CLIENT_ID_HERE with your client ID, and yes, the redirect_uri is just http://localhost. It will redirect you to a URL with your access token. URL will look like the following. All the characters after "access_token=" is your access token. Easy! right? 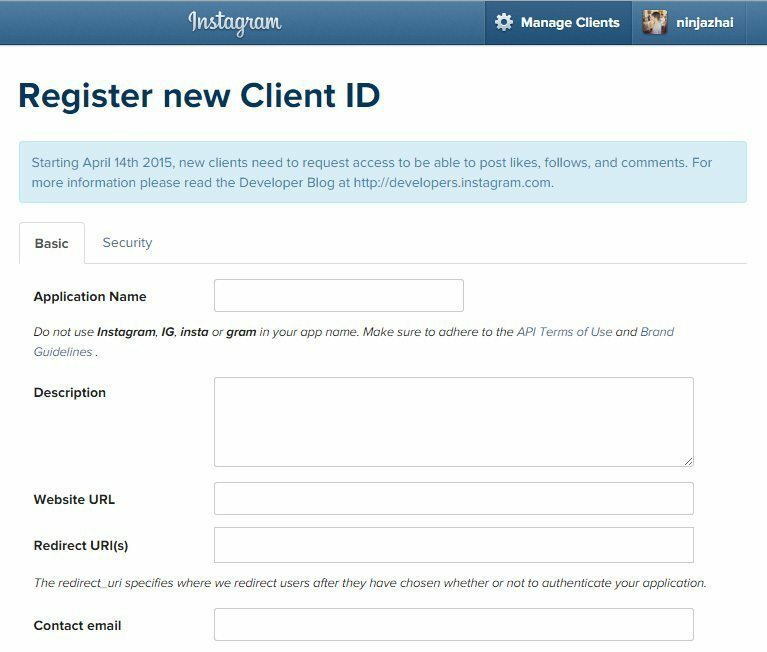 Now you can use your access token to Instagram developer tasks like this tutorial. 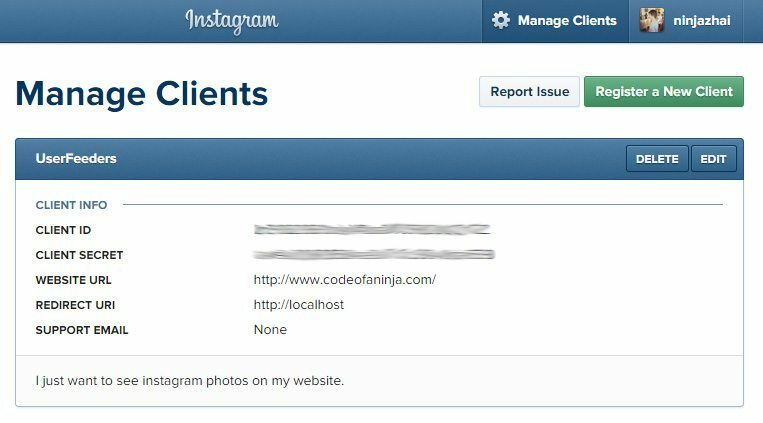 Thanks for reading our tutorial on how to generate or get Instagram access token! https://www.codeofaninja.com/wp-content/uploads/2019/03/codeofaninja-with-text-3-1030x206.png 0 0 Mike Dalisay https://www.codeofaninja.com/wp-content/uploads/2019/03/codeofaninja-with-text-3-1030x206.png Mike Dalisay2015-05-28 09:23:152015-08-11 07:49:49How To Get Instagram Access Token in 3 Easy Steps? Update: You may have to change the OAuth setting in the security tab to get your access token. I did based on the updated web UI.